Hi Friends! 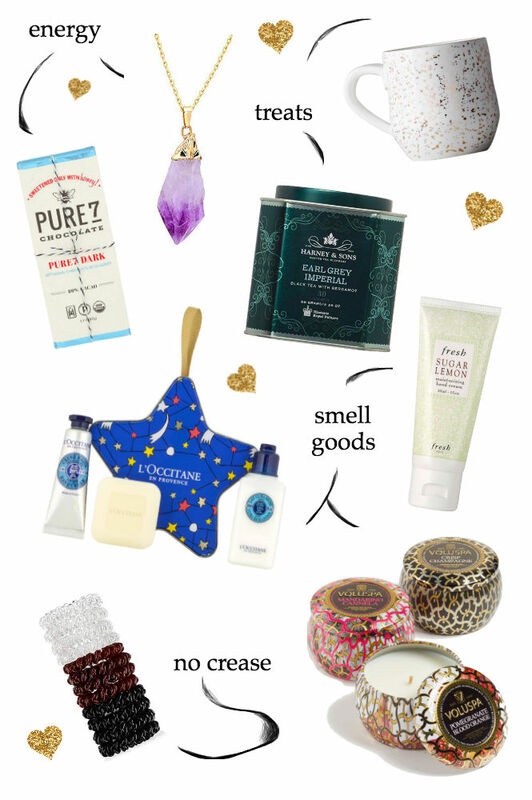 One of my favorite Holiday Gift Guides is coming in hot today for you. This guide is terrific not just for Stocking Stuffers but also for mini gifts to treat friends, co-workers or staff members. Personally, I'm grabbing a few of these for members of the non-profit I'm apart of. I know my favorite volunteers always need hair ties for when they're getting dirty or lotion to moisturize after wearing gloves all day. Check out my favorites below! one // A paleo chocolate bar! Safe for a good portion of friends you know might be watching what they're eating over the holiday season but also a bar that is simply pure. Pure7's Honey Sweetened Dark Chocolate Bar is unprocessed, unrefined and free of chemicals, dairy, soy, gluten and refined sugars. Your new best friend. two // For the friend who needs a mental health break but won't take the PTO because they're a rock-star. Amethysts are know for clearing stress, negative energy and is a protective stone that helps rid unwanted darkness. This raw stone can be found on etsy to amazon. Either way, it's a beautiful and thoughtful gift for a loved one. Make sure they cleanse the stone before wearing it! three // Who doesn't love a beautiful new desk mug for the Holidays. Let's be honest here, your favorite mug takes a beating. One of mine has practically all the gold rubbed off around the holder because I used it 3/4 of the year. Out with the old and in with the new, right? This beautiful gold sparkle Mimira Stoneware Mug is being price matched on Nordstrom from Anthropologie. The only difference: Nordstrom has free shipping always. four // Earl Grey Tea or any tea from Harney & Sons. They are my favorite American tea company and they truly do a beautiful job from packaging to taste. I'm never unhappy with their teas. If you have a picky friend, go for the Peppermint. Always perfect for cold night and a sore stomach. five // Absolutely nothing worse than dry hands never-the-less elbows and knees in the winter. Nordstrom and Sephora have these beautiful beauty ornament gifts that are perfect for the stocking, tree and skin care! 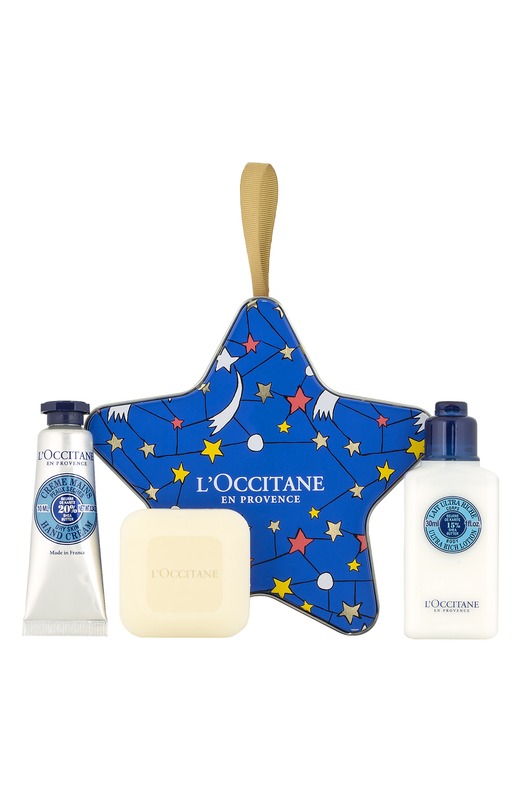 The L'Occitane Shea Butter Ornament Set is perfect for the friend or family member who's always asking for lotion. six // Speaking of lotion, if you have a person in your life you know a mini set won't be enough for definitely check out Fresh's Moisturizing Hand Cream . They have the most wonderful scents that aren't seasonal so they can wear it all year round. I'm the type of gal who would want that whole tube, thank you very much! seven // You can't be surprised that mini candles are on my list. Truth be told, and as I've mentioned before, I've bought this set of three for the past two years on Nordstrom's Anniversary Sale. You can see my previous vision board here. I often break them up and give them out with another small gift each year. 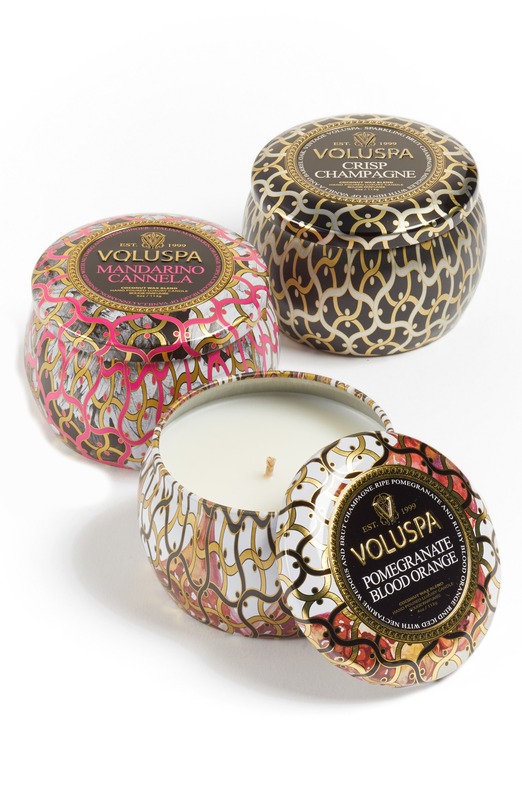 I love each smell from the Voluspa Maison Noir Candle Set . However, my favorite is Pomegranate Blood Orange . eight // Last but not least, no-crease hair ties. Listen... I'm the friend who is always asking for an extra hair tie. I keep them in my bag, linked onto my keychain, looped around my brush and always around my arm. The fact that these have zero crease for us curly haired girls is a game changer! I definitely recommend a set of these for a stocking stuffer. They have a variety pack on amazon and a smaller pack at Saks off 5th. That's it! Thanks for swinging by and reading!